Jeffery R. Schaff, chief of Sikorsky’s Loads & Survivability group, worked for United Technologies Corporation for 18 years, beginning his career at the United Technologies Research Center in 1997. In 2003, he transferred into the Structures Research group at Sikorsky Aircraft, and in 2006 he became Chief of the Loads & Survivability group. Schaff, of North Haven, Connecticut, received his Bachelor’s and Master’s degrees in Mechanical Engineering from Syracuse University, and studied towards his PhD at University of Connecticut. He also served as a Captain in the US Air Force and a researcher at the Air Force Research Laboratory, at Wright-Patterson Air Force Base, Dayton, Ohio. Schaff had been an AHS member since 1998. During that time, he was an active member for the Structures and Materials committee and the author of many influential publications in the area of fatigue and damage tolerance of composite materials, including four AHS Forum papers. Schaff was well respected and well liked in the engineering community for his technical expertise, his dedication to the job, and his concern for his employees. 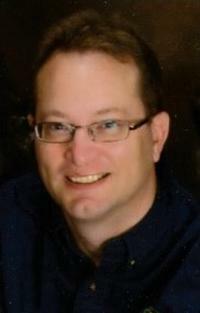 Jeffery R. Scharf passed away on December 15, 2014 after a hard-fought battle with appendix cancer. Schaff (45).